Medical device inventory is complex. Managing field inventory, especially consignment inventory, is a real problem. 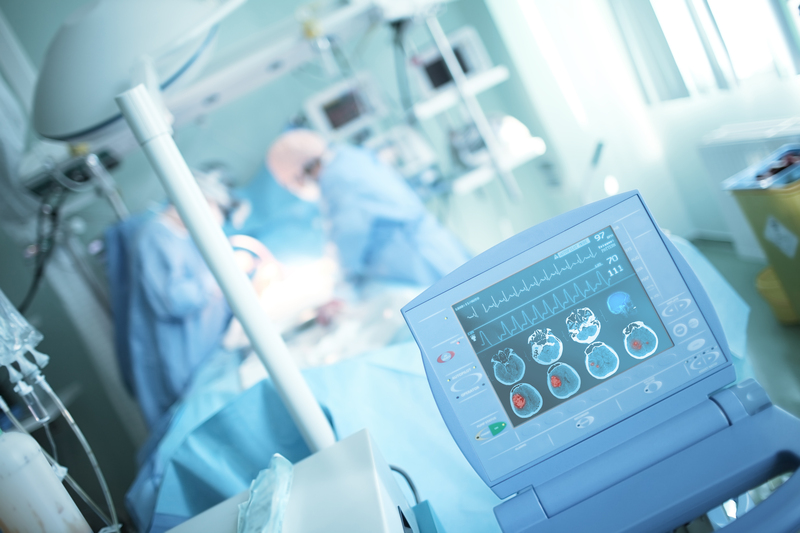 Medical device manufacturers face many complex situations not present in any other industry. These problems can’t be solved with traditional tools or processes. Most are still searching for a solution. This is why a new approach is needed. If the tools are built for your needs, everything just works. It is a journey. While the theory is simple, the execution is hard. The right tools make it easier. Better tools drive better processes. Whenever you have a better process, you save time. Better tools will enable you to collect better data and better data allows you to create meaningful analytics that provide actionable insights. Everything that needs to be done gets done in one system. Everything can be automated or can be completed automatically because of intense ERP/CRM/System integrations. All users (especially Sales Reps) love the tool and find value in using it. When those key ingredients are in place, user adoption skyrockets, visibility is increased, data is collected, insights are found, and trust is created. Field inventory optimization is finally possible. This works because once the sales reps and ops teams have a tool that they will actually use, then you can collect and measure the right data. Increasing asset utilization starts with the effectiveness of your sales force and operational teams. Once the sales reps and ops teams have a tool that they will actually use, then you can leverage the passive data to create better models and apply machine learning with AI to powerfully predict and plan for what is needed. You will finally be able to forecast effectively. Movemedical provides the tools to help medical device manufacturers gain true control and visibility to all inventory types (consignment, loaner, trunk, etc.). Integration drives automation and visibility, which enables true inventory optimization. True ERP and systems integration is not just about sharing data. It is much more than that. Real integration is about aligning processes and data in order to reduce the burden on the ERP and to create accurate records across all systems. When systems are properly aligned, manual effort is reduced, errors are eliminated, and accuracy is validated. The proper tool captures practical situations from the field, and accurately represents that data in the ERP system. When the field, back office, supply chain, customer service, and corporate teams are all aligned, everything starts to flow – everything just works. Yet, integration alone is not enough either, the process and tool must solve real problems. To solve this colossal, $8 billion problem (massive waste in the medical device supply chain), everyone must be given access: access to see, and access to do. Real-time automation: fully integrated with your ERP to allow processes that eliminate double-entry and human error. True visibility for all ops teams and sales reps at the item, set, and kit level for all stock across all locations. Reduction of cycle-count time from hours to minutes using built-in scanning technology (or Bluetooth scanner). Systematic alerts for expired and recalled inventory—putting patient safety first. Real-time tracking of all transfers, shipments, and deliveries as well as validation of receipts and usage (improves order-to-cash and accuracy). Cost reduction due to the elimination of missing, expired, and lost, unbilled equipment. To make inventory management effective, the tool must bring data, visibility, efficiency, insight, control, and speed of service together in one platform. A unified approach gives med device companies peace of mind and accurate information. Tools must be aligned with processes. Managing consignment inventory is not one-sided. It must be approached as a team effort. As the medical device implant manufacturers and hospitals get on the same platform, the ability to manage inventory smarter will be greatly increased. Consignment inventory optimization and performance is directly related to the quality of collaboration both internally (across Sales, Supply Chain, Finance) and externally (with the Hospital, ASC). Better collaboration requires a unified and integrated platform. Accurate real-time visibility to consignment inventory and trunk stock has been difficult for most to achieve. When the right tool is aligned with proper processes, accurate and real-time data is created to effectively optimize all consignment inventory. This new approach helps drive a better consignment inventory model that reduces risks, increases revenue, and lowers costs. The journey to asset utilization is difficult. Yet, your journey to optimization has already begun. Keep going. Movemedical has helped many medical device manufacturers succeed whose previous “solution” failed them, whether it was built in-house or by a 3rd party. You need to partner with someone who has done it before. We are here to help. Better partners help drive better results. We can help, we can be your partner. Key benefits: consignment management at all levels, true item level kitting, case management and inventory assignment, loaners, accurate forecasting, complete visibility, par-management, RFID, tracking all items inside and outside kits, sterile, non-sterile, HIPAA compliant communication (files, messaging), and full custom ERP integrations to reduce manual effort. Now it is time to take action. Call Movemedical now to begin your journey.